David invariably cuts to the chase when it comes to assessing mutual funds. It’s a gift he shares with us each month. So, in evolving the MFO Premium site, he suggested we provide lists of funds satisfying interesting screening criteria to help users get the most from our search tools. Smallest Drawdown Fixed Income Funds generates a list of Fixed Income (e.g., Bond, Muni) funds that have experienced the smallest levels of Maximum Drawdown (MAXDD) in their respective categories. More specifically, they are in the quintile of funds with smallest MAXDD among their peers. Looking back at performance since the November 2007, which represents the beginning of the current full market cycle, we find 147 such funds. Two top performing core bond funds are TCW Core Fixed-Income (TGCFX) and RidgeWorth Seix Total Return (SAMFX). The screen also uncovered notables like First Pacific Advisors’ FPA New Income (FPNIX) and Dan Ivascyn’s PIMCO Income (PIMIX). 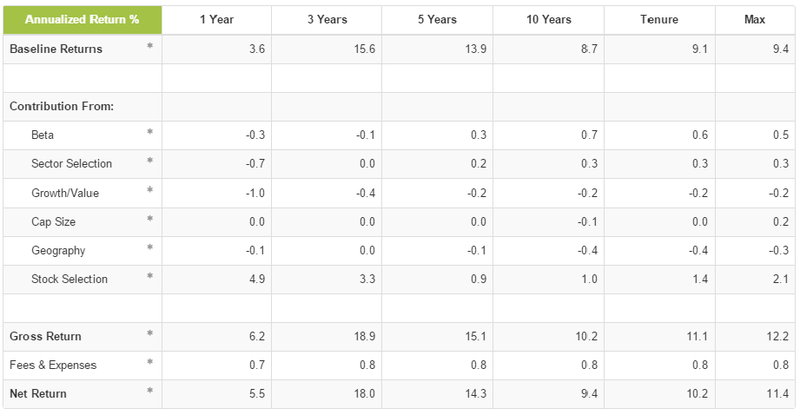 Shortest Recovery Time Small Caps generates a list of Small Cap (Small Core, Small Value, Small Growth) funds that have incurred shortest Recovery Times (number of months a fund retracts from previous peak) in their respective categories. For Full Cycle 5, this screen produces 62 such funds through December 2015. Among the best performing funds with shortest Recovery Times, under 30 months, only one remains open and/or accessible: Queens Road Small Cap Value (QRSVX). It was profiled by David in April 2015. Lowest Ulcer Moderate Allocation Funds generates a list of Mixed Asset Moderate Allocation funds that have incurred the lowest Ulcer Indices in their respective categories. 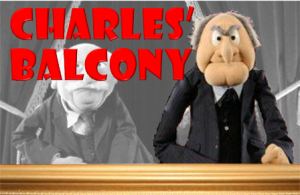 This entry was posted in Charles on February 1, 2016 by Charles Boccadoro. It’s the BOJ’s fault. Or the price of oil’s. Perhaps the Fed. Probably China. Possibly Putin. Likely ISIL (or Assad). Alternately small investors. (ETF.com assures us it’s definitely not the effect of rapid, block-trading of ETFs on the market, though.) It’s all an overreaction or, occasionally, a lagging one. Could be fears of recession or even fears of fears. We don’t like randomness. That’s why conspiracy theories are so persistent: they offer simple, satisfying explanations for otherwise inexplicable occurrences. We want explanations and, frankly, the financial media are addicted to offering them. The list in that opening paragraph captures just some of the explanations offered by talking heads to explain January’s turbulence. Those same sages have offered prognostications for the year ahead, ranging from a “cataclysmic” 40% decline and advice to “sell everything” to 7-11% gains, the latter from folks who typically foresee 7-11% gains. As I drove to campus the other day, watching a huge flock of birds take wing and wheel and listening to financial analysis, it occurred to me that these guys had about as much prospect of understanding the market as they do of understanding the birds’ ballet. Second, until I began this essay, I had only the vaguest idea of how my portfolio had done in 2015. I preach a single doctrine: make a good plan, execute the plan, get on with your life. Make a good plan: My retirement portfolio is largely hostage to Augustana College. As part of a Retirement Plan Redesign task force a few years ago, we discovered that the college’s plan was too complicated (it offered over 800 funds) and too lax (under 30% of our employees contributed anything beyond the college’s 10% contribution). The research was clear and we followed it: we dramatically reduced the fund of investment choices so that in each asset class folks had one active fund and one passive fund, installed a lifecycle fund as the default option, the college went from a flat contribution to a modestly more generous one based on a matching system, we auto-enrolled everyone in a payroll deduction which started at 4%, and automatically escalated their contributions annually until they reached 10%. It was, of course, possible to opt out but we counted on the same laziness that kept folks from opting in to keep them from opting out. We were right. Ninety-some percent of employees now contribute to their own retirements, the amount of money sitting in money markets for years is dramatically reduced, the savings rate is at a record and more accounts seem to contain a mix of assets. Yay for everyone but me! In pursuit of the common good, I helped strip out my own access to the Fidelity and T. Rowe Price funds that were central to my plan. Those funds are now in a “can’t add more” account and continue to do quite well. Both growth funds (Fidelity Growth Discovery, T. Rowe Price Blue Chip Growth) and international small caps (Fidelity Japan Smaller Companies, T. Rowe Price International Discovery) were thriving, while my substantial emerging markets exposure and a small inflation hedge hurt. In these later years of my career at the college, the vast bulk of my retirement contributions are going into a combination of the CREF Stock Account (60% of my portfolio, down 0.9% in 2015, up 10.5% annually over the past three years), TIAA Real Estate Account (25% of my portfolio, up 8% in 2015, up 10% annually over the past three years) and a TIAA-CREF Retirement Income fund (15% of the portfolio, flat in 2015, up 4.5% over three years) for broad-based fixed income exposure. Within income, 50% conservative, 50% venturesome. I know that I could optimize the allocation by adjusting the exact levels of exposure to each class, but I don’t need the extra complexity in my life. In most of my funds, the managers have some wiggle room so that they’re not locked into a single narrow asset class. That makes managing the overall asset allocation a bit trickier, but manageable. A pure play on active management. Mr. Romick is willing to go anywhere and frequently does. He’s been making about 6% a year and has done exceptionally well mitigating down markets. The fund lost 2% in 2015, its third loss in 20 years. A broadly diversified fund of income funds. Low cost, low drama. It’s been making about 4% in a low-rate environment. The fund lost 2% in 2015, its third loss, and its second-worst, in a quarter century. A fund that I’ve owned since inception and one of my few equity-only funds. It’s made about 7% a year and its long-term performance is in the top 1% of its peer group. Closed to new investors. An exceedingly conservative cash-substitute for me. I’m counting on it to beat pure cash by 2-3% a year, which it has regularly managed. Up about 1% in 2015. Closed to new investors. An outstanding EM equity fund that splits its exposure between pure EM stocks and firms domiciled in developed markets but serving emerging ones. Up about 10% since launch while its peers are down 18%. Down 4% in 2015 while its peers were down 14%. Traditionally one of the least volatile ways to invest in the world’s most dynamic economies. I started here when Mr. Foster, Seafarer’s manager, ran the fund. When he launched Seafarer, I placed half of my MACSX position in his new fund. MACSX has continued to be a top-tier performer but might fall victim to a simplification drive. Mr. Sherman, the RPHYX manager, positions this as “one step out the risk-return spectrum” from his flagship fund. His expectation was to about double RPHYX’s return. He was well on his way to do exactly that until three bad investments and some market headwinds derailed performance over the past six months. Concern is warranted. The flagship fund for Grandeur Peak, a firm specializing in global small and microcap growth investing. The research is pretty clear that this is about the only place where active managers have a persistent edge, and none have had greater success than G.P. The fund was up 8% in 2014 and down 0.6% in 2015, outstanding and respectable performances, respectively. Northern aspires to be a true global hybrid fund offering low-cost access to global stocks, bonds and alternatives. It looks terrible benchmarked against its US-centered peers but I’m not sure that’s an argument against it. This was simply too intriguing to pass up: G.P. wanted a tiny fund to invest in the world’s tiniest companies, potentially explosive firms that would need to grow a lot even to become microcaps. It was open by subscription only to current GP shareholders and hard-closed at $27.5 million even before it opened. This is a very small position, started mostly because I like the guys’ clear thinking and disciplined approach. Having even a small amount in a fund lends me to pay more attention to it, which was the goal. Other than for 2014, it typically finishes in the top third of L/S funds. Execute the plan. So what did I do in 2015? Added Grandeur Peak Global Microcap and set up a monthly auto-invest. I also (finally!) transferred my Seafarer holdings from Scottrade directly to Seafarer where I took advantage of their offer to make lower-cost institutional shares available to retail investors who met the retail minimum and established an auto-investing plan. Otherwise, it was mostly stay the course and invest monthly. The managers seem to have fallen into a value trap. Their discipline is explicitly designed to avoid “value traps,” but their dogged commitments to energy and industrials seem to have ensnared them. They don’t seem to be able to get out. Perhaps I’m jaundiced, but their shareholder communications haven’t been inspiring. The theme is “we’re not going to change our discipline just because it’s not working right now.” My fear is that “disciplined” transitions too easily into “bunkered down.” I experienced something similar with Ron Muhlenkamp of Muhlenkamp Fund (MUHLX), which was brilliant for 15 years then rigidly rotten for a decade. Mr. Muhlenkamp’s mantra was “we’re not sacrificing our long-term discipline for short-term gains” which sounded grand and worked poorly. I know of few instances where once-great funds rebound from several consecutive years in the basement. The question was examined closely by Leigh Walzer of Trapezoid in his December 2015 essay, When Good Managers Go Bad. Lead manager Scott Satterwhite is retiring in October. The transition has been underway for a long while now but (a) it’s still epochal and (b) performance during the transition has not been noticeable better. I may surrender to Ed’s desire to have me simplify my portfolio. (Does he simplify his? No, not so far as I can tell.) That might mean moving the MACSX money into Seafarer. Maybe closing out a couple smaller holdings because they’re not financially consequential. My asset allocation is a bit overweight in international stocks right now, so I’m probably going to move some into domestic smaller caps. (Yes, I know. I’ve read the asset class projections but my time horizon is still longer than five to seven years.) And making some progress in debt reduction (I took out a home equity loan to handle some fairly-pressing repairs) would be prudent. Get on with life. I’m planning on resuming my War on Lawns this spring. I’m having a Davenport firm design a rain garden, an area designed to slow the rush of water off my property during storms, for me and I’ll spend some weeks installing it. I’ll add a bunch of native plants, mostly pollinator-friendly, to another corner once overrun by lawn. Together, I think they’ll make my space a bit more sustainable. Baseball season (which my son interprets as “I need expensive new stuff” season) impends. I really need to focus on strengthening MFO’s infrastructure, now that more people are depending on it. And my academic department continues to ask, “how can we change our teaching to help raise diverse, first-generation college students to that same level of achievement that we’ve traditionally expected?” That’s exhausting but exciting because I think, done right, we can make a huge difference in the lives of lots of bright kids who’ve been poorly served in some of their high schools. As a kid whose parents never had the opportunity to finish high school (World War Two interrupted their teen years), my faith in the transformative power of teaching remains undimmed. In the course of our conversation about Leuthold Core Investment (LCORX), Doug Ramsay shared the observation that emerging markets stocks are painfully cheap. Leuthold’s chart, below, shows the price/earnings ratio based on five-year normalized earnings for E.M. stocks from 2004 to now. Valuations briefly touched a p/e of 31 in 2007 then fell to 8 within a year. As we end January 2016, prices for E.M. stocks hover within a point of their market-crisis lows. I’ve always thought that was the wrong concern. Really, I’m less concerned about whether my brilliant manager remains absolutely brilliant than whether he turns wretched. Frankly, if my funds kept bouncing between “reasonable,” “pretty good” and “really good,” I’d be thrilled. That is, if they stay in the three- to five-star range over time, that’s perfectly respectable. Here’s how to read it. There were 354 five-star funds in 2005. Of those, only 16 fell to one-star by 2010. You can see that in the top-center box. Of those 16 one-star funds, none rebounded to five stars by 2015 and only two made it back to four stars. On the upside, 187 of the original 354 remained four- or five-star funds across the whole time period and 245 of 354 never dropped below three stars. We clearly need to do some refinement of the data to see whether a few categories are highly resilient (for example, single-state muni bond funds might never change their star ratings) and, thus, skewing the results. On whole, though, it seems clear that “first to worst” is a pretty low probability outcome and “first to kinda regrettable” isn’t hugely more likely. The original spreadsheet is in the Commentary section at MFO Premium, for what interest that holds. This Time It Really Is Different! So, time now for something of a follow-up to my suggestion of a year ago that a family unit should own no more than ten mutual funds. As some will recall, I was instructed by “She Who Must Be Obeyed” to follow my own advice and get our own number of fund investments down from the more than twenty-five where it had been. We are now down to sixteen, which includes money market funds. My first observation would be that this is not as easy to do as I thought it would be, especially when you are starting from something of an ark approach (one of these, two of those). It is far easier to do when you start to build your portfolio from scratch, when you can be ruthless about diversification. That is, you don’t really need two large cap growth or four value funds. You may only add a new fund if you get rid of an old fund. You are quite specific about setting out the reasons for investing in a fund, and you are equally disciplined about getting rid of it when the reasons for owning it change, e.g. asset bloat, change in managers, style drift, no fund managers who are in Boston, etc., etc. Which brings me to a point that I think will be controversial – for most families, mutual fund ownership should be concentrated in tax-exempt (retirement accounts) if taxes matter. And mutual fund ownership in retirement accounts should emphasize passive investments to maximize the effects of lower fees on compounding. It also lessens the likelihood of an active manager shooting himself or herself in the foot by selling the wrong thing at the wrong time because of a need to meet redemptions, or dare I suggest it, panic or depression overwhelm the manager’s common sense in maintaining an investment position (which often hits short seller specialists more than long only investors, but that is another story for another day). The reasons for this will become clearer as holdings come out for 12/31 and 3/31, as well as asset levels (which will let you know what redemptions are – the rumor is that they are large). It will also become pretty clear as you look at your tax forms from your taxable fund accounts and are wondering where the money will come from to pay the capital gains that were triggered by the manager’s need to raise funds (actually they probably didn’t need to sell to meet redemptions as they all have bank lines of credit in place to cover those periods when redemptions exceed cash on hand, but …..). The other thing to keep in mind about index funds that are widely diversified (a total market fund for instance) – yes, it will lag on the upside against a concentrated fund that does well. But it will also do better on the downside than a concentrated fund that does not do well. Look at it this way – a fifty stock portfolio that has a number of three and four per cent positions, especially in the energy or energy services sector this past year, that has seen those decline by 50% or more, has a lot of ground to make up. A total stock market portfolio that has a thousand or more positions – one or two or twenty or thirty bad stocks, do not cripple it. And in retirement accounts, it is the compounding effect that you want. The other issue of course is that the index funds will stay fully invested in the indices, rather than be caught out underinvested because they were trying to balance out exiting positions with adding positions with meeting redemptions. The one exception here would be for funds where the inefficiencies of an asset class can lead to a positive sustainable alpha by a good active manager – look for that manager as one to invest with in either taxable or tax-exempt accounts. In both the financial print press and the financial media on television and cable, much of the “blame” for market volatility is attributed to nervousness about the Chinese economy, the Chinese stock market, in fact everything to do with China. There generally appear to be two sorts of stories about China these days. One recurring theme is that they are novices at capital markets, currencies, as well as dealing with volatility and transparency in their markets, and that this has exacerbated trends in the swings in the Shanghai market, which has spread to other emerging markets. Another element of this particular them is that China’s economy is slowing and was not transparent to begin with, and that lack of growth will flow through and send the rest of the world into recession. Now, mind you, we are talking about economic growth that by most accounts, has slowed from high single digits recently (above 7%) to what will be a range going forward of low to still mid-single digits (4 – 7%). I think a couple of comments are in order about this first theme. One, the Shanghai market has very much been intended as a punter’s market, where not necessarily the best companies are listed (somewhat like Vancouver in Canada twenty-odd years ago). The best companies in China are listed on the Hong Kong market – always have been, and will continue to be for the foreseeable future. The second thing to be said is that if you think things happen in China by accident or because they have lost control, you don’t understand very much about China and its thousands of years of history. Let’s be realistic here – the currency is controlled, interest rates are controlled, the companies are controlled, the economy is controlled – so while there may be random events and undercurrents going on, they are probably not the ones we are seeing or are worried about. This brings me to the second different theme you hear about China these days, which is that China and the Chinese economy have carried the global economy for the last several years, and that even last year, their contribution to the world economy was quite substantial. I realize this runs counter to stories that you hear emanating from Washington, DC these days, but much that you hear emanating from Washington now is quite surreal. But let’s look at a few things. China still has $3 trillion dollars of foreign exchange reserves. China does not look to be a debtor nation. China has really not a lot of places left to spend money domestically since they have a modern transportation infrastructure and, they have built lots of ghost cities that could be occupied by a still growing population. And while China has goods that are manufactured that they would like to export, the rest of the world is not in a buying mood. A rumor which I keep hearing, is that they have more than 30,000 metric tons of gold reserves with which to back their currency, should they so choose (by comparison, the US as of October 2014 was thought to have about 4,200 metric tons in Fort Knox). For those familiar with magic shows and sleight of hand tricks, I think this is what we are seeing now. Those who watch the cable financial news shows come away with the impression that the world is ending in the Chinese equity markets, and that will cause the rest of the world to end as well. So while you are watching that, let’s see what you are missing. We have a currency that has become a second reserve currency to the world, supplanting the exclusive role of the U.S. dollar as countries that are commodity economies now price their commodities and do trade deals in Chinese currency. And, notwithstanding that, the prices of commodities have fallen considerably, we continue to see acquisition and investment in the securing of commodities (at fire sale prices) by China. And finally, we have a major expansion by China in Africa, where it is securing arable land to provide another bread basket for itself for the future, as well as an area to send parts of it population. And let me suggest in passing that the one place China could elect to spend massively in their domestic economy is to build up their defense establishment far beyond what they have done to date. After all, President Reagan launched a massive arms build-up by the US during his terms in office, which in effect bankrupted the Soviets as they tried to keep up. One wonders whether we would or could try to keep up should China elect to do the same to us at this point. 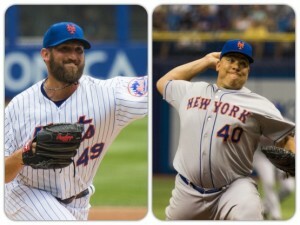 Bartolo Colon is a baseball pitcher; he is the second oldest active major leaguer. Ten years ago he won the coveted Cy Young award. Probably no investment firm has asked Colon for an endorsement but maybe they should. More on this shortly. Index funds offer a great approach for anyone who lacks the time or inclination to do their homework. We expect they will continue to gain share and pressure the fees of active managers. Trapezoid does not advocate algorithmic strategies, as the term is commonly used. Nor do we oppose them. Rather, we rigorously test portfolio managers for skill. Our “null hypothesis” is that a low-cost passive strategy is best. We look for managers which demonstrate their worth, based on skill demonstrated over a sufficient period of time. Specifically, Honor Roll fund classes must have a 60% chance of justifying their expenses. Less than 10% of the fund universe satisfies this test. 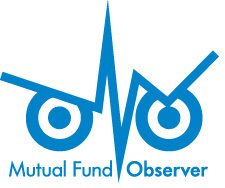 Trapezoid does rate some quantitative funds, and we wrote in the November edition of Mutual Fund Observer about some of the challenges of evaluating them. We do rely on quantitative methods, including back testing, to validate our tests and hone our understanding of how historic skill translates into future success. 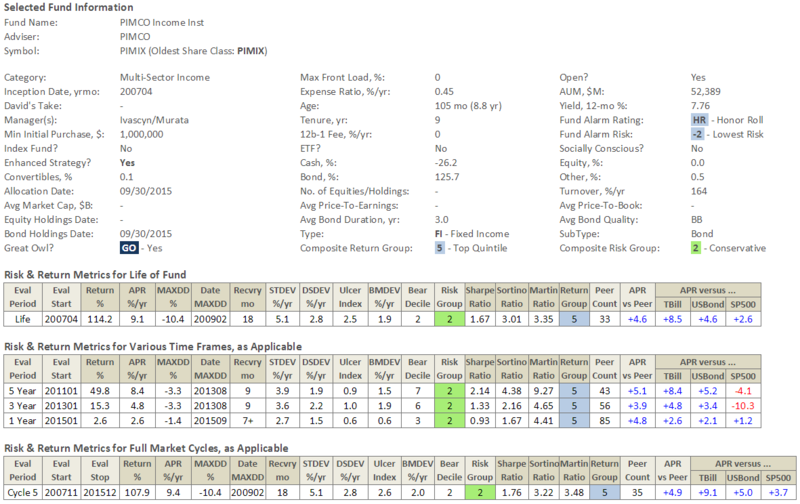 A wealth manager (and demo client) from Denver asks our view of his favorite funds, Vulcan Value Partners (VVPLX). Vulcan was incepted December 2009.Prior to founding Vulcan, the manager, C.T. Fitzpatrick, worked for many years at Southeastern under famed value investor O. Mason Hawkins. Currently it is closed to new investors. Should investors abandon all their confidence when a good manager retires and passes the baton? Should investors give the fund a mulligan when a poor performer is replaced? Probably not. VVPLX has performed very well in its 6 years of history. By our measure, investors accumulated an extra 20% compared to index funds based on the managers’ stock selection skill alone. We mentioned it favorably in the October edition of MFO. The wealth manager questioned why we classify VVPLX as large blend? Vulcan describes itself as a value manager and the portfolio is heavily weighted toward financial services. VVPLX is classified as large blend because, over its history, it has behaved slightly more like the large blend aggregate than large value. We base this on comparisons to indices and active funds. One of our upcoming features identifies the peer funds, both active and passive, which most closely resemble a given fund. For a majority of our funds, we supplement this approach by looking at historic holdings. We currently consider factors like the distribution of forward P/E ratios over time. Our categorization and taxonomy do not always conform to services like Morningstar and Lipper, but we do consider them as a starting point, along with the manager’s stated objective. We frequently change classifications and welcome all input. While categories may be useful in screening for managers, we emphasize that the classifications have no impact on skill ratings, since we rely 100% on objective criteria such as passive indices. The client noted we identified a few managers following similar strategies to VVPLX who were assigned higher probabilities. How is this possible considering VVPLX trounced them over its six-year history? Some of the active managers who beat out VVPLX had slightly lower expenses. While VVPLX did very well since 2010, some other funds have proven themselves over much longer periods. We have more data to satisfy ourselves (and our algorithms) that the manager was skillful and not just lucky. VVPLX’s stock selection skill was not entirely consistent which also hurts its case. From April to October, the fund recorded negative skill of approximately 4%. This perhaps explain why management felt compelled to close the fund 4/22/15. Mgr. Tenure sS* sR* Proj. Skill (Gross) Exp. ∆ ± Prob. 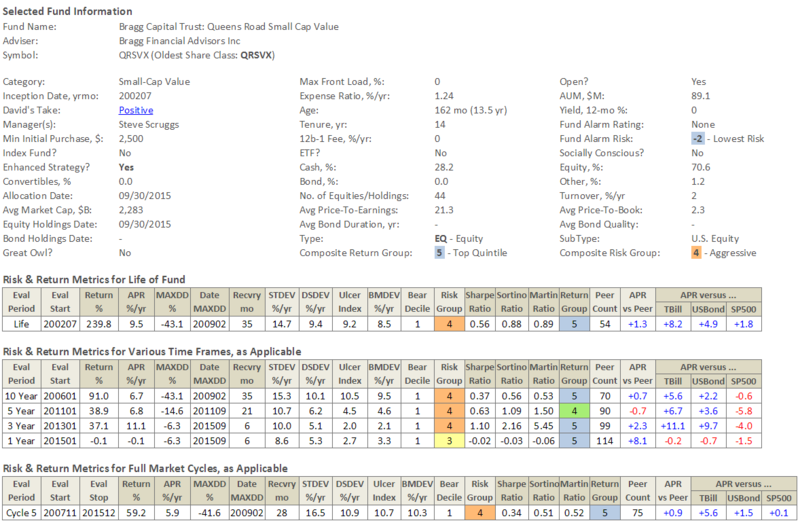 Exhibit I compares VVPLX to Boston Partners All-Cap Value Fund. BPAIX is on the cusp of value and blend, much like VVPLX. Our model sees a 56.1% chance that the fund’s skill over the next 12 months will justify its expense structure. According to John Forelli, Senior Portfolio Analyst, the managers screen from a broader universe using their own value metrics. They combine this with in-depth fundamental analysis. As a result, they are overweight sectors like international, financials, and pharma relative to the Russell 3000 (their avowed benchmark.) Boston Partners separately manages approximately $10 billion of institutional accounts which closely tracks BPAIX. 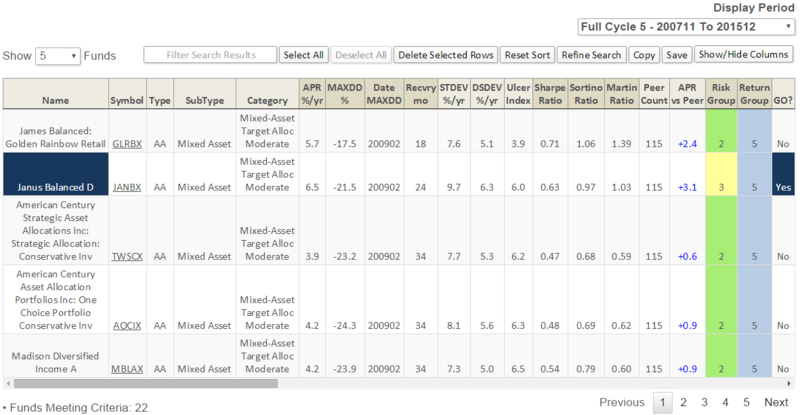 Any reader with the www.fundattribution.com demo can pull up the Fund Analysis for VVPLX. The chart for BPAIX is not available on the demo (because it is categorized in Large Value) so we present it in Exhibit II. Exhibit III presents a more traditional attribution against the Russell 3000 Value Fund. Both exhibits suggest Boston Partners are great stock pickers. However, we attribute much less skill to Allocation because our “Baseline Return” construes they are not a dyed-in-the-wool value fund. Trapezoid has identified funds which are more attractive than either of these funds. The Trapezoid Honor Roll consists of funds with at least 60% confidence. The methodology behind these findings is summarized at here. 12 months ending November 2016. Our review of VVPLX raises a broader question. Investors often have to choose between a fund which posted stellar returns for a short period against another whose performance was merely above average over a longer period. For those of you who watched the World Series a few months ago, the NY Mets had a number of very young pitchers with fastballs close to 100 miles per hour. They also had some veteran pitchers like John Niese and the 42-year-old ageless wonder Bartolo Colon who couldn’t muster the same heat but had established their skill and consistency over a long period of time. We don’t know whether Bartolo Colon drank from the fountain of youth; he served a lengthy suspension a few years ago for using a banned substance. But his statistics in his 40s are on par with his prime ten year ago. Unfortunately, for every Bartolo Colon, there is a Dontrelle Willis. Willis was 2003 NL Rookie of the year for the Florida Marlins and helped his team to a World Series victory. He was less effective his second year but by his third year was runner up for the Cy Young award. The “D-Train” spent 6 more years in the major leagues; although his career was relatively free of injuries, he never performed at the same level. Extrapolating from a few years of success can be challenging. If consistency is so important to investors, does it follow that a baseball team should choose the consistent veterans over the promising but less-tested young arms? Sometimes there is a tradeoff between expected outcome (∆) and certitude (±). The crafty veteran capable of keeping your team in the game for five innings may not be best choice in the seventh game of the World Series; but he might be the judicious choice for a general manager trying to stretch his personnel budget. The same is true for investment managers. Vulcan may have the more skillful management team. But considering its longevity, consistency, and expense Boston Partners is the surer bet. How long a track record is needed before an investor can bet confident in a portfolio manager? This is not an easy question to answer. 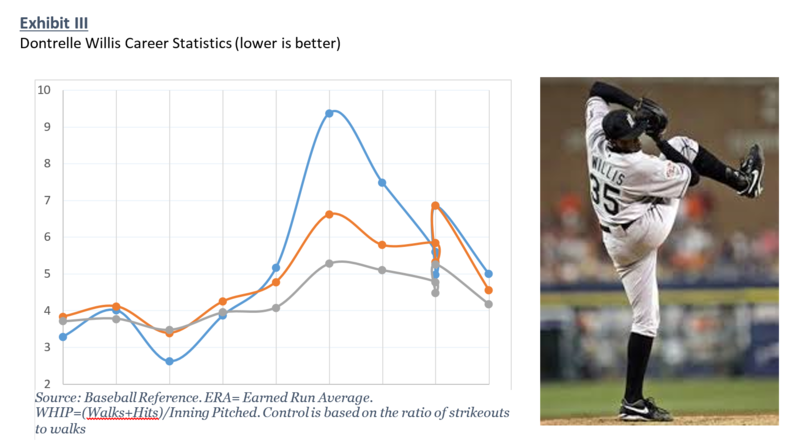 Skill, even when measured properly, is best evaluated over a long period. In the December edition of MFO (When_Good_Managers_Go_Bad) we profiled the Clearbridge Aggressive Growth fund which rode one thesis successfully for 20 years. Six years of data might tell us less about them than a very active fund. Here is one stab at answering the question. 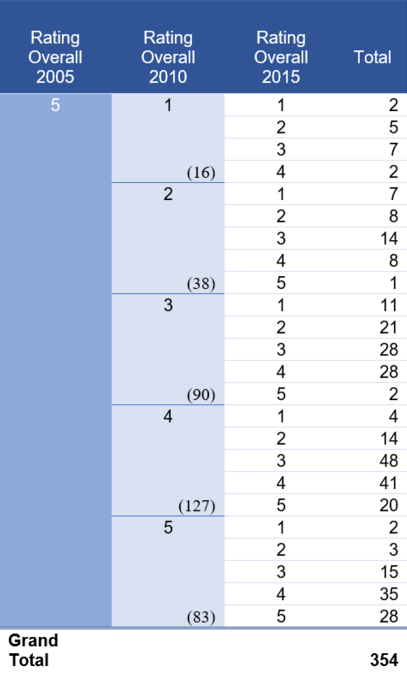 We reviewed the database to see what percentage of fund made the Trapezoid Honor Roll as a function of manager tenure. Recall the Trapezoid Honor Roll consists of fund classes for which we have 60% confidence that future skill will justify expense structure. In Exhibit IV the Honor Roll fund classes are shown in blue while the funds we want no part of are in yellow. 16% of those fund classes where the manager has been on the job for twenty-five years make the Honor Roll compared with just 2% for those on the job less than three years. The relationship is not a smooth line, but generally managers with more longevity give us more data points allowing us to be more confident of their skill.. or more likely persuade us they lack sufficient skill. There is an element of “survivorship” bias in this analysis. Every year 6% of funds disappear; generally, they are the smallest or worst performers. “All-stars” managers are more likely to survive for 20 years. But surprisingly a lot of “bad” managers survive for a long time. The percentage of yellow funds increases just as quickly as the blue. It seems reasonable to ask why so many “bad” managers survive in a Darwinian business. We surveyed the top 10. (Exhibit V) We find that in the aggregate they have a modicum of skill, but nowhere sufficient to justify what they charge. We can say with high confidence all these investors would be better off in index funds or (ideally) the active managers on the Trapezoid honor roll. We haven’t distinguished between a new manager who takes over an old fund and a brand new fund. Should investors abandon all their confidence when a good manager retires and passes the baton? Should investors give the fund a mulligan when a poor performer is replaced? Probably not. 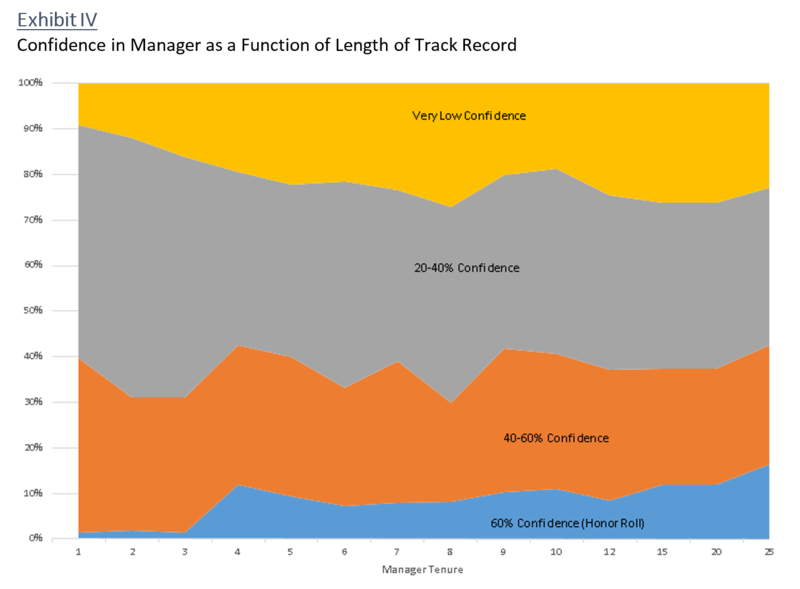 From a review of 840 manager changes with sufficient data (Exhibit VI), strong performers tend to remain strong which suggests we may gain confidence by considering the track record of the previous manager. The “rookie confidence” problem is a challenge for investors. The average manager tenure is about six years and only a quarter of portfolio managers have been on the job longer than 10 years. It is also a challenge for asset managers marketing a new fund or a new manager of an existing fund. Without a long track record, it is hard to tell if a fund is good – investors have every incentive to stick with the cheaper index fund. Asset managers incubate funds to give investors a track record but studies suggest investors shouldn’t take much comfort from incubated track records. (Richard Evans, CFA Digest, 2010.) We see many sponsors aggressively waiving fees for their younger funds. Investors will take comfort when the individuals have a prior track record at another successful fund. C.T. Fitzpatrick’s seventeen years’ experience under Mason Hawkins seems to have carried over to Vulcan. BOTTOM LINE: It is hard to gain complete trust that any active fund is better than an index fund. It is harder when a new captain takes the helm, and harder yet for a brand new fund. The fund with the best five-year record is not necessarily the best choice. Veteran managers are over represented in the Trapezoid Honor Roll — for good reason. Unlike investing, baseball will always have rookies taking jobs from the veterans. But in 2016 we can still root for Bartolo Colon. Why are investors so bad at picking alternatives? 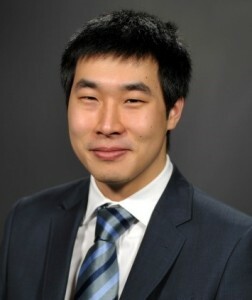 Sam is the founder of Severian Asset Management, Chicago. He is also former Morningstar analyst and editor of their ETF Investor newsletter. Sam has been celebrated as one of the country’s best financial writers (Morgan Housel: “Really smart takes on ETFs, with an occasional killer piece about general investment wisdom”) and as Morningstar’s best analyst and one of their best writers (John Coumarianos: “ Lee has written two excellent pieces [in the span of a month], and his showing himself to be Morningstar’s finest analyst”). He has been quoted by The Wall Street Journal, Financial Times, Financial Advisor, MarketWatch, Barron’s, and other financial publications. Severian works with high net-worth partners, but very selectively. “We are organized to minimize conflicts of interest; our only business is providing investment advice and our only source of income is our client fees. We deal with a select clientele we like and admire. Because of our unusual mode of operation, we work hard to figure out whether a potential client, like you, is a mutual fit. The adviser-client relationship we want demands a high level of mutual admiration and trust. We would never want to go into business with someone just for his money, just as we would never marry someone for money—the heartache isn’t worth it.” Sam works from an understanding of his partners’ needs to craft a series of recommendations that might range from the need for better cybersecurity or lower-rate credit cards to portfolio reconstruction. We can all be thankful that January 2016 is over. I am at a point in my life where I don’t really enjoy rollercoaster rides, of any sort, as much as I did when I was younger. And this past month has been nothing short of a financial rollercoaster. In many ways, however, it shouldn’t have been a surprise that investors decided to take some air out of the balloon. In a grand experiment, the central banks around the world have been pumping hot air into the global market balloon since November 2008. But the U.S. Fed officially took its foot off the gas pedal and applied a bit of light pressure to the brakes with its scant rate rise in December. And on top of that, China’s slowdown has raised concerns of contagion, and its equity markets have taken the brunt of that concern. With all of the re-adjustments of market expectations and valuations currently taking place, 2016 may turn out to be quite a good year to be invested in alternatives. Now a look at the liquid alternative categories, per Morningstar’s classification. Only Managed Futures and Bear Market funds generated positive returns in January, as one would expect. Long/Short Equity was down more than expected, but with small cap stocks being down just over 9%, it is not a surprise. Multi-alternative funds held up well, as did market neutral funds. Overall, a mixed bag for January. And despite the massive outflows from non-traditional bonds, the category remains the largest with more than $135 billion in assets. This compares to commodities at $67 billion and multi-alternative at $56 billion. Only six new liquid alternative funds were launched in January – four were long/short equity funds, one was a managed futures fund and the sixth was a non-traditional bond fund. Of the six funds, two were ETFs, and fairly innovative ETFs at that. We wrote about their structure in an article titled, Reality Shares Builds Suite of Dividend-Themed ETFs. Using Active Share to Evaluate High-Yield Bond Portfolios – An interesting look at how to use active share to evaluate fixed income portfolios. Using Momentum and Hedge Funds to Build a Better Portfolio – It is often documented how hedge funds can help a traditionally allocated portfolio, but this article takes a look at a research paper that proposes something a bit different. If you would like to keep up with all the news from DailyAlts, feel free to sign up for our daily or weekly newsletter. I’ll be back next month, and until then, let’s hope the rollercoaster ride that started in January has come to an end. Cognios Market Neutral Large Cap (COGMX): this tiny fund does what its category is supposed to do, but never has. It makes good money even when the market stinks. Leuthold Core Investment (LCORX): We celebrate the 20th anniversary of Leuthold Core, a singularly disciplined and adaptive fund. Just one more year and it will be old enough to drink! We’re hopeful that the markets don’t give it, or us, reason to. RiverNorth Opportunities (RIV): This is the closed-end fund for serious investors who know there’s a lot of money to be made in the irrational pricing of closed-end funds, but who don’t have the time or expertise to construct such a portfolio on their own. Most folks haven’t heard of the Davenport Funds, which is understandable but also too bad. Davenport & Company is an employee-owned investment adviser that’s headquartered in Richmond, VA. They’ve been around since 1863 and now “custodies more than $20 billion in assets.” They manage five no-load funds, all somewhere in the solid-to-excellent range. Their newest fund, Davenport Balanced Income, launched on December 30, 2015. The equity portion of the portfolio mirrors the holdings of the Davenport Value and Income Fund (DVIPX). All Davenport funds target firms with exceptionally high levels of insider equity ownership. Value & Income, in particular, targets three investment themes: Dividend Aristocrats, High Yielders with Capital Appreciation Potential and deep-value Contrarian/Special Situations. Value and Income has performed exceedingly well. The fund just celebrated its fifth anniversary. Morningstar places it in the top 4% of all large value funds since inception. Perhaps more importantly, it significantly outperformed its peers in 2015 and again in 2016’s choppy first month. Since inception, its returns have been about a third higher than its equity income peers while all measures of its volatility have been lower. Based on the conventional measures of risk-adjusted return (Sharpe, Martin and Sortino ratios or Ulcer Index), it’s a Top 20 equity income fund. The equity allocation is fluid, ranging from 25 to 75% of assets. The balance between the two sleeves is determined by the managers’ analysis of “economic trends, changes in the shape of the yield curve and sector analysis.” The income portion of the portfolio is invested for stability rather than appreciation. John Ackerly, one of Davenport’s directors, claims they have “a long history of developing funds that manage downside risk and produce positive returns … over full market cycles.” The equity portion of the fund is managed by Davenport’s Investment Policy Committee; the fixed-income portion by two of the guys who manage their fixed-income separate accounts. Their managers have, on average, 30 years of experience. Expenses are capped at 1.25%. The minimum initial investment is $5,000 for regular accounts and $2,000 for tax-advantaged ones. More details are at Davenport Asset Management, with the funds linked under the Strategies tab. There’s always churn in the manager ranks. This month we tracked down changes at 67 equity or balanced funds. While no cry out “sea change!”, three fairly well-known Fidelity managers – Peter Saperstone, Adam Kutas and Charles Myers – are having their responsibilities changed. Mr. Kutas drops Latin America to focus on EMEA. Mr. Myers takes a six-month leave of absence starting in March. Mr. Saperstone has been steadily moving away for months. I also discovered that I don’t recognize the names of any of the Janus managers (except, of course, Mr. Gross). So far the fund has been above water for about one month, April 2015, since Mr. Gross came on board. That said, it certainly shows a dogged independence compared to its nontraditional bond peers (the orange line). And it does look a lot better than Miller Income Opportunity Fund (LMCJX), Legg Mason’s retirement gift to former star Bill Miller. Mr. Miller co-manages the fund with his son. Together they’ve managed to lose about 24% for their investors in the same period that Mr. Gross dropped two or three. The fate of Berwyn’s small no-load shareholders seems unresolved. Thanks, in passing but as always, to The Shadow, the indomitable Ted and the folks on our discussion board. They track down more cool stuff, and think more interesting thoughts, than about any group I know. I browse their work daily and learn a lot. GoodHaven Fund (GOODX) is reorganizing itself. The key change is that it will have a new board of trustees, rather than relying on a board provided by the Professionally Managed Portfolios trust. Effective at the end of January, 2016, the Innealta Capital Country Rotation (ICCNX) and Capital Sector Rotation (ICSNX) funds no longer include “consistent with the preservation of capital” as part of their investment objectives. Manning & Napier has agreed to acquire a majority interest in Rainier Investment Management, the investment adviser to the Rainier Funds. Effective February 1, 2016, the T. Rowe Price Mid-Cap Index Fund and the T. Rowe Price Small-Cap Index Fund were added as options for all of the T. Rowe Price Retirement Fund. Buffalo Emerging Opportunities Fund (BUFOX) and the Buffalo Small Cap Fund (BUFSX) have re-opened to new investors. 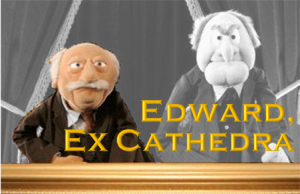 They were closed for three and six years, respectively. Both funds posted wretched performance in 2014 and 2015 which might be a sign of disciplined investors out of step with an undisciplined market. The Fairholme Focused Income (FOCIX) and Allocation (FAAFX) funds have reduced their minimum initial investment from $25,000 to $10,000. Effective January 29, 2016, the redemption fee for the TCM Small Cap Growth Fund (TCMSX) was removed and the fund reduced its minimum initial investment from $100,000 to $2,500. It’s actually a pretty solid little small-growth fund. Tweedy, Browne Global Value Fund II -Currency Unhedged (the “Fund”) reopened to new investors on February 1, 2016. Effective as of January 1, 2016, the Valley Forge Fund’s (VAFGX) advisor, Boyle Capital Management, LLC, has voluntarily agreed to waive the full amount of its management fee. The voluntary waiver may be discontinued at any time. It was always a cute, idiosyncratic little fund run by a guy named Bernie Klawans. The sort of fund that had neither a website nor an 800 number. Bernie passed away at age 90, having run the fund until the last six months of his life. His handpicked successor died within the year. The Board of Trustees actually ran the fund for six months. Their eventual choice for a new manager did okay for a year, then performance fell off a cliff in the middle of 2014. It’s never recovered and the fund is down to $7 million in assets, down by two-thirds since Mr. Klawan’s passing. Vanguard Treasury Money Market Fund (VUSXX) has re-opened to all investors without limitations. It’s been charging four basis points and returning one basis point a year for the past three. AQR Style Premia Alternative Fund and AQR Style Premia Alternative LV Fund will both close to new investors on March 31, 2016. AQR’s Diversified Arbitrage Risk Parity and Multi-Strategy Alternative funds closed in 2012 and 2013. Sam Lee did a really strong analysis of the two Style Premia funds in our September 2015 issue. Ziegler Strategic Income Fund (ZLSCX) has liquidated its Investor share class and has converted the existing Investor Class accounts into institutional accounts. The American Independence funds announced five name changes, including shortening American Independence to AI. Aston Small Cap Fund (ATASX) – formerly Aston TAMRO Small Cap – is soon-to-be AMG GW&K Small Cap Growth Fund. On January 28, 2016, Centre Global Select Equity Fund became Centre Global ex-U.S. Select Equity Fund (DHGRX). Not entirely sure why “Global ex-US” isn’t “International,” but maybe they had some monogrammed stationery that they didn’t want to throw out. Effective on February 19, 2016, Columbia Intermediate Bond Fund (LIBAX) becomes Columbia Total Return Bond Fund. On February 1, 2016, Ivy Global Real Estate Fund (IREAX) became Ivy LaSalle Global Real Estate Fund, and Ivy Global Risk-Managed Real Estate Fund changed to Ivy LaSalle Global Risk-Managed Real Estate Fund (IVRAX). For the past three years, both funds have been sub-advised by Lasalle Investment Management. IVRAX has performed splendidly; IREAX, not so much. Silly reader. You thought it was Touchstone Small Cap Core Fund. Actually it’s just Touchstone Small Cap Fund (TSFAX). Now, anyway. “Because of the difficulty encountered in distributing the Fund’s shares,” 1492 Small Cap Core Alpha Fund (FNTSX) will liquidate on February 26, 2016. The fact that it’s not very good probably contributed to the problem. American Beacon Retirement Income and Appreciation Fund and American Beacon Treasury Inflation Protected Securities Fund ( ) will be liquidated and terminated on March 31, 2016. Presumably that’s part of the ongoing house-cleaning as American Beacon tries to reposition itself as a sort of alternatives manager. Anfield Universal Fixed Income Fund (AFLEX) liquidated two of its share classes (A1 and R) on February 1, 2016. Rather than moving those investors into another share class, they received a check in the mail and a tax bill. Odd. ASTON/TAMRO International Small Cap Fund (AROWX) liquidated on February 1, 2016. On the one hand, it only had $2 million in assets. On the other, the adviser pulled the plug after just a year. The manager, Waldemar Mozes, is a bright guy with experience at Artisan and Capital Group. He jokingly described himself as “the best fund manager ever to come from Transylvania.” We wish him well. Columbia Global Inflation-Linked Bond Plus Fund liquidated after very short notice, on January 29, 2016. Gator Opportunities Fund (GTOAX) thought it had to hang on until March 21, 2016. The board has discovered that a swifter execution would be legal, and now it’s scheduled to disappear on February 15, 2016. Hodges Equity Income Fund (HDPEX) will merge into Hodges Blue Chip Equity Income Fund (currently named the Hodges Blue Chip 25 Fund HDPBX) at the end of March, 2016. Its board simultaneously announced new managers for, and liquidation of, KF Griffin Blue Chip Covered Call Fund (KFGAX). The former occurred on January 6, the latter is slated for February 16, 2016. Don’t blink: McKinley Non-U.S. Core Growth Fund (MCNUX) will be gone by February 5, 2016. It was an institutional fund with a minimum investment of $40 million and assets of $37 million, so …. Midas Magic (MISEX) and Midas Perpetual Portfolio (MPERX) are both slated to merge into Midas Fund (MIDSX). In reporting their taxable distributions this year, Midas announced that “One of Midas’ guiding principles is that we will communicate with our shareholders and prospective investors as candidly as possible because we believe shareholders and prospective investors benefit from understanding our investment philosophy and approach.” That makes it ironic that there’s no hint about why they’ve folding a diversified equity fund and a tactical allocation fund into a gold portfolio with higher fees than either of the other two. We previously noted the plan to merge the Royce European Small-Cap and Global Value funds into Royce International Premier, pending shareholder approval. The sheep baa’ed shareholders approved the mergers, which will be executed sometime in February, 2016. On March 24, 2016, Sentinel Mid Cap Fund (SNTNX) will be absorbed by Sentinel Small Company Fund (SAGWX), which have “identical investment objectives and similar investment strategies.” That’s a clear win for the investors, give or take any actual interest in investing in mid-caps. At the same time, Sentinel Sustainable Mid Cap Opportunities Fund (WAEGX) will be absorbed into Sentinel Sustainable Core Opportunities Fund (MYPVX). TeaLeaf Long/Short Deep Value Fund (LEFAX) closed on January 25 and liquidated on January 29, 2016. The Board of Trustees of Monetta Trust has concluded “that it would be in the best interests of the Fund and its shareholders” to liquidate Varsity/Monetta Intermediate Bond Fund (MIBFX), which will occur on February 18, 2016. Vivaldi Orinda Hedged Equity Fund (OHEAX) is victim of its advisor’s “strategic decision to streamline its product offerings.” The fund will liquidate on February 26, 2016. Voya Emerging Markets Equity Dividend Fund (IFCAX) will liquidate on April 8, 2016. Please do double-check to see if you’ve set our Amazon link as a bookmark or starting tab in your browser. From Christmas 2014 to Christmas 2015, Amazon’s sales rose 60% but our little slice of the pie fell by 15% in the same period. We try not to be too much of a pesterance on the subject, but the Amazon piece continues as a financial mainstay so it helps to mention it. If you’re curious about how the Amazon Associates program works, here’s the short version: if you enter Amazon using our link, an invisible little piece of text (roughly: “for the benefit of MFO”) follows you. When you buy something, that tag is attached to your order and we receive an amount equivalent to 6% or so of the value of the stuff ordered. It’s invisible and seamless from your perspective, and costs nothing extra. Sadly the tag expires after a day so if you put something in your cart on Guy Fawkes Day and places the order on Mardi Gras, the link will have expired. Thanks, too, to the folks whose ongoing support makes it possible for us to keep the lights on (and even to upgrade them to LEDs!). That includes the growing cadre of folks using MFO Premium but also Paul R and Jason B, our most faithful subscribers Deb and Greg, the good folks at Andrei Financial and Gardey Financial and Carl R. (generous repeat offenders in the “keep MFO going” realm). We’re about 90% done on a profile of the “new” LS Opportunity Fund (LSOFX), so that’s in the pipeline for March. Readers and insiders both have been finding interesting options for us to explore which, with Augustana’s spring break occurring in February, I might actually have time to! This entry was posted in Mutual Fund Commentary on February 1, 2016 by David Snowball. This entry was posted in Manager changes on February 1, 2016 by Chip. This entry was posted in Sam on February 1, 2016 by Samuel Lee. This entry was posted in Edward on February 1, 2016 by Edward A. Studzinski.